We've all heard of spoon-bending and telekinesis, but Quebec native Francois Legault brings a whole new level of organized interconnectedness to the domain of eating utensils with his unique lighting collections. Transitioning from horticulture to lighting design in the mid-90s, Legault has since developed several unique pieces of art for both residential and commercial works, with projects ranging from Club Med to Hollywood homes. 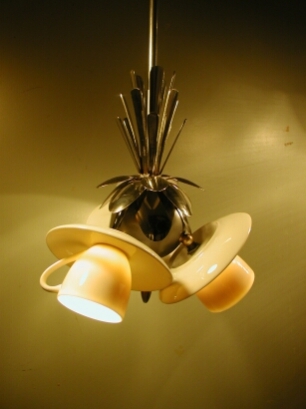 Utilizing flatware and other recycled materials, Legault has comprised a quirky lighting series, quite apropos for kitchen decor. 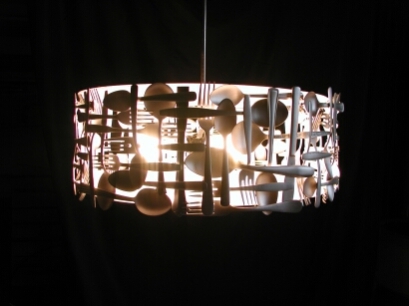 His "Kitchen" collection is an intricate gridwork of woven eating utensils which circle round to form some very clever lampshades. 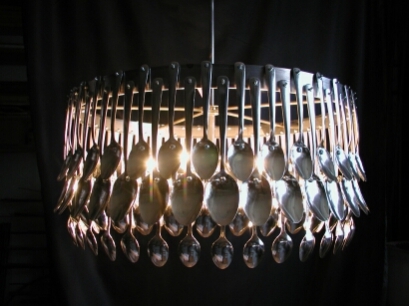 "Spoon Soldiers" is made of 160 spoons of varying sizes, lit from within by six, 40-watt bulbs. 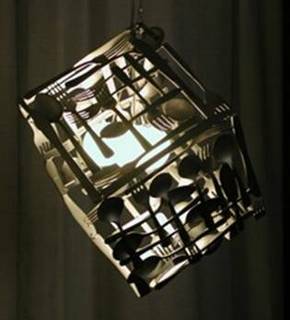 "Free Hug" is a suspension lamp consisting of ten spoons wrapped around two perforated steel cylinders, and his "Chief Acorn" number is a large, transparent bulb topped with 24 spoons. And then taking things one step further is the "Coffee" series, which includes not only the novelty of the blooming spoon flowers, but also the transformation of cups and saucers into viable light sources. Legault's movement into the kitchen has been a recent departure. 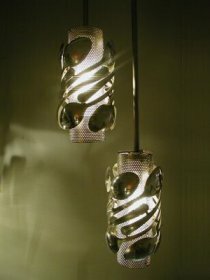 Prior to that his designs took shape as all kinds of different lighting suitable for other areas of the house. 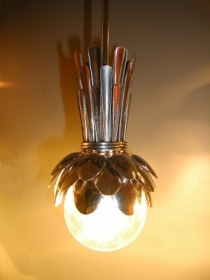 One example of this is his "Railroad Spike" lamp, whose grit and industrial appeal are softened with halogen bulbs diffused by a lycra shade. You can find several of Francois Legault's pieces at UNIK , or you could attempt your own DIY project, hopefully sans any especially sharp cutlery. No Electricity And Need A Light? Then SOCCKET To Me!